The Georgia Democrat reiterated Thursday at the Women in the World Summit in New York City that she is weighing a run for Senate. Stacey Abrams dodged questions Thursday about a potential presidential run, saying she wants to see how the Democratic candidates approach the 2020 campaign. The Georgia Democrat told the Women in the World Summit, a conference attended by some of the most influential women across business, politics and technology in New York City, that she is giving "careful consideration" to a future run for the Senate, which she has said before. “I respect most of the folks running for president. I want to see if their approach to this campaign — this fight for the soul of our country — if they’re going to approach it in a way that will actually yield the results we need,” she said. 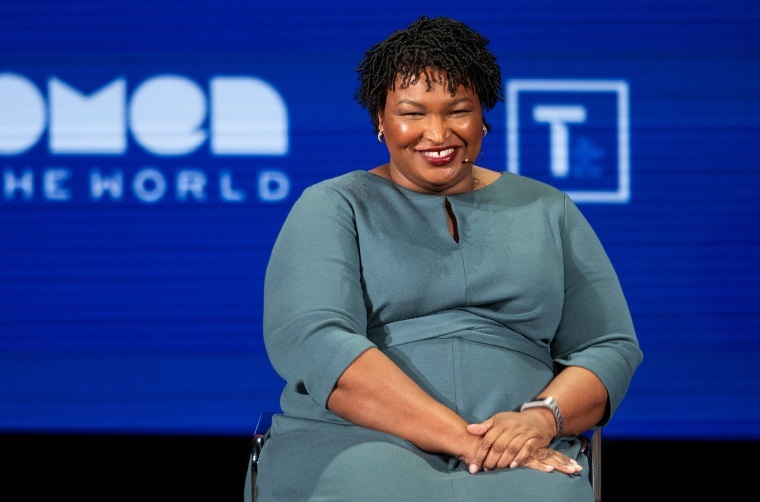 Abrams, who narrowly lost her gubernatorial bid last year, rebuffed the idea that the Democratic Party is moving too far to the left. Talk of 2020 continued at the conference when Susan Rice, former national security adviser and ambassador to the United Nations, announced she would not challenge Republican Sen. Susan Collins of Maine in the next election. “Like a lot of people, I was deeply disappointed when Susan Collins decided to vote for Brett Kavanaugh," she said of the Supreme Court Justice who was accused of sexual assault as a teenager before he was approved t o the Supreme Court. Later, experts in artificial intelligence warned about the powers and pitfalls of the technology and touted the value of a diverse workforce in the field. Authors and professors contemplated the future of #MeToo, and the cultural factors that created the perfect storm for the movement. Journalists shared their experiences being on the front lines and putting their lives at risk in countries around the world to inform readers and viewers. The Summit ends Friday, when it will feature Vogue editor Anna Wintour, former PepsiCo executive Indra Nooyi and Cindy McCain.